Fill out the form below to find out what you can do to support this campaign. 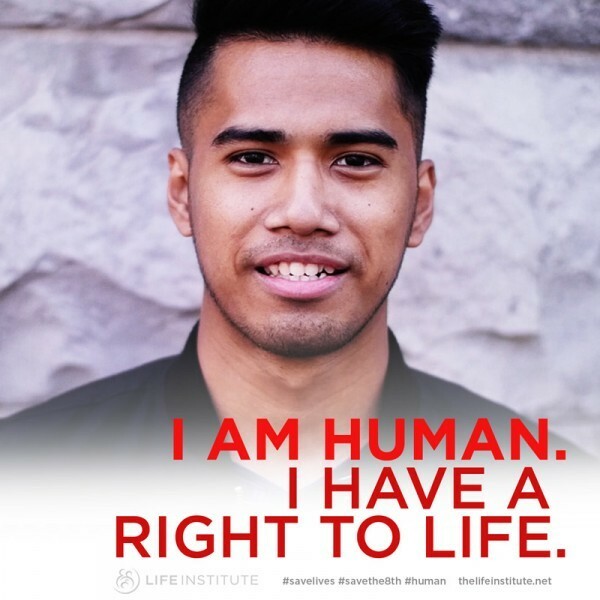 Our video "Human" highlights that the right to life is a fundamental human right, to which every person is entitled, simply because he or she is a human being. I am Human. 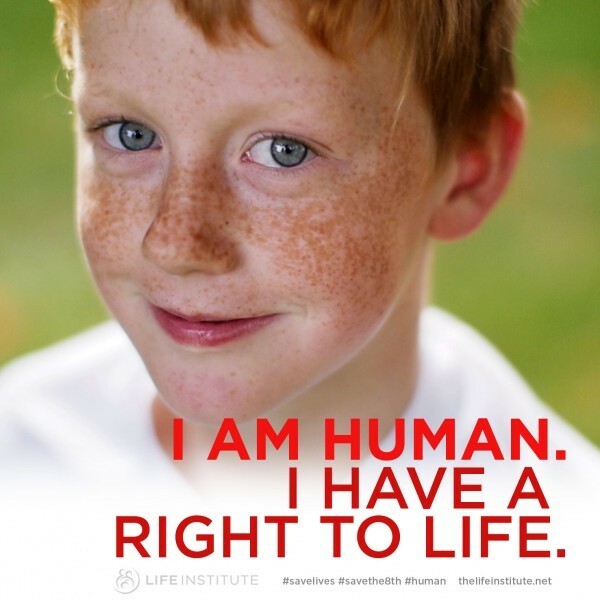 I have a right to life. Humanity. It is all of us. It’s you and me and all of the living humans on earth. It is also the quality of being human. It’s the ability to love, to show compassion, to protect, to be kind – to acknowledge the human rights of others. There were times when we forgot what humanity means, times when we failed to uphold the human rights of others. Times when we have denied people their human rights, based on colour, or creed or gender or ability. But we have progressed from that discrimination, and have recognized that we all are deserving of equal rights simply because of who we are; we are all human beings and have been since our lives began. This means the youngest of us should have the same rights as the oldest of us. The weakest should have the same rights as the strongest. A woman should have the same rights as a man. 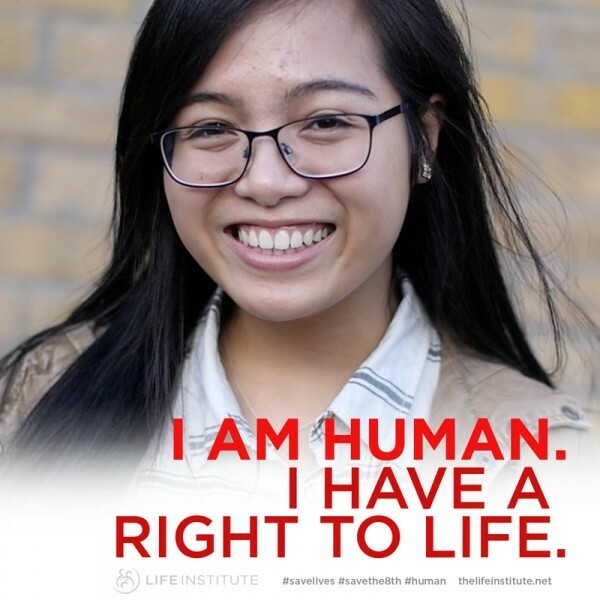 The preborn child should have the same rights as the newborn. Because human rights are fundamental rights, to which every person is entitled, simply because he or she is a human being. All human beings have the right to be safe. The right not to be tortured. The right to be free. But one human right is more important than all of the others. 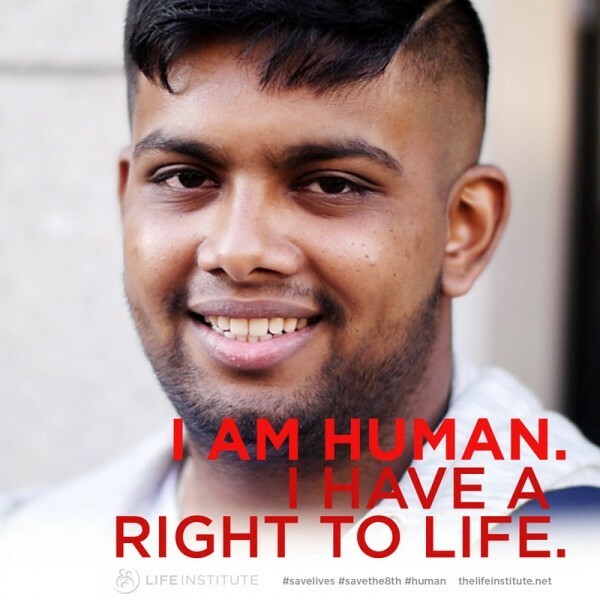 The right to life. 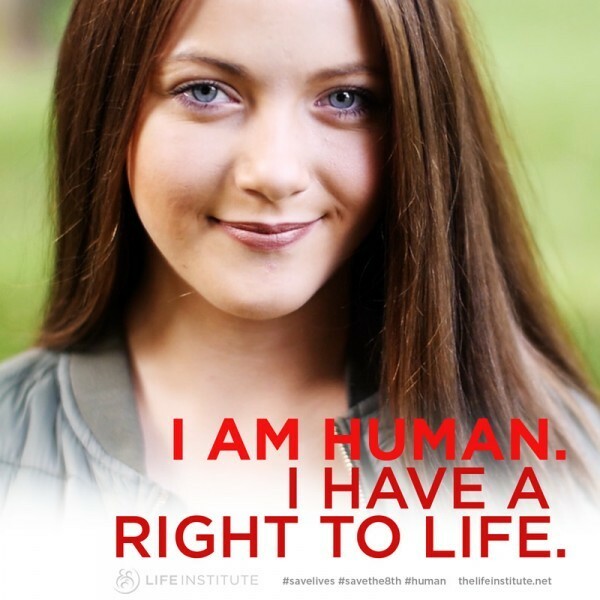 Because if you do not have the right to life, you cannot have any other rights. 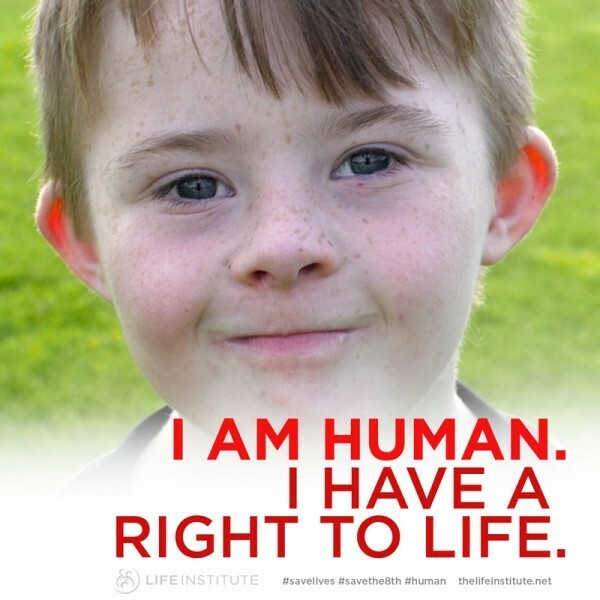 Now abortion campaigners want you to take away this right from preborn children. They are human beings, like you and I, but like other victims before them, their humanity is being denied to justify their killing. We do not deny human rights to those who are smaller. We do not deny human rights to those who are younger or less developed. We do not consider those are who dependent on others to survive as being less deserving of human rights. 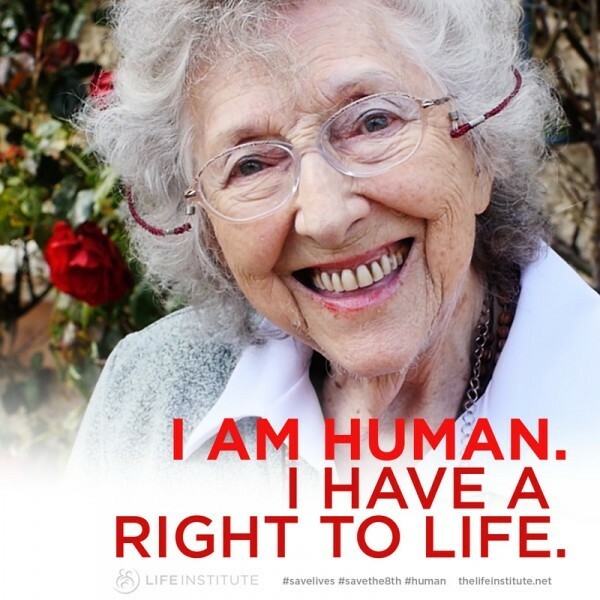 We do not discriminate by taking the right to life away from those who are sick and may not have long to live. We do not base a persons’ worth on the circumstances of their conception. 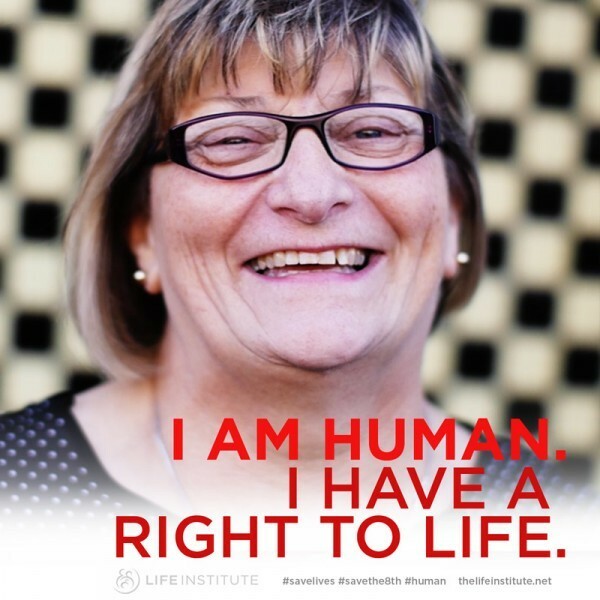 The humanity of the preborn human cannot be denied. 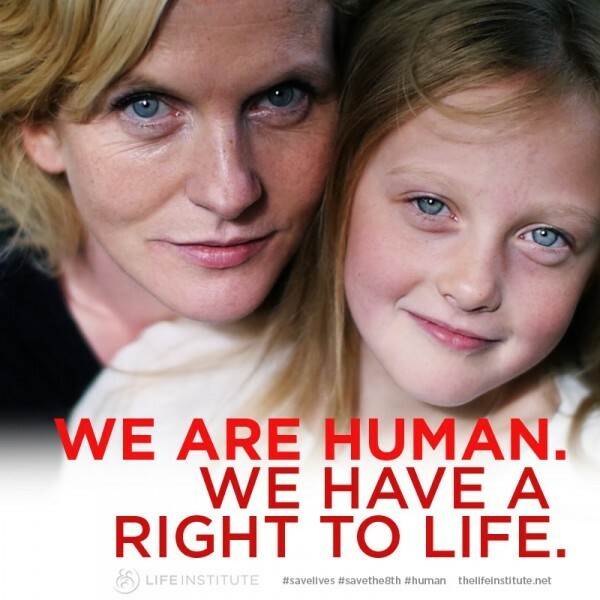 Do not deny them their human right to life.